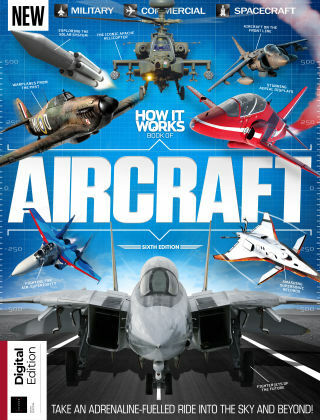 With Readly you can read How It Works Book Of Aircraft and thousands of other magazines on your tablet and smartphone. Get access to all with just one subscription. New releases and back issues – all included. The history of human aviation spans over a hundred years, from the first manned flight of the Wright Flyer in 1903 to the futuristic spacecraft of today that shuttle astronauts and payloads to the International Space Station. Today's aircraft are constantly evolving and being upgraded. In the How It Works Book of Aircraft we will bring to life a plethora of modern flying machines, from fighter jets to drones, hot air balloons to rocket ships. Featuring: Iconic aircraft - From the early days of aviation to the modern day, iconic aircraft of all shapes and sizes have taken to the skies. 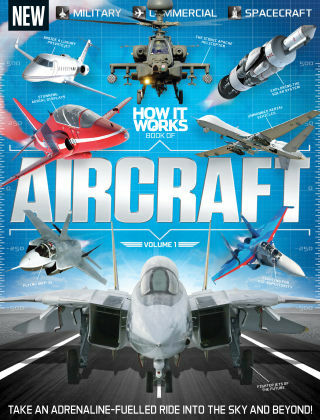 Fighter Jets - Come fact to face with the world's most technologically advanced aircraft, built for speed and stealth. Flying in style - Take a look inside commercial aircraft, from private jets and hot air balloons to personal drones and gliders. Exploring space - Survey the outer limits of our universe with the spacecraft that investigate alien worlds and stars.